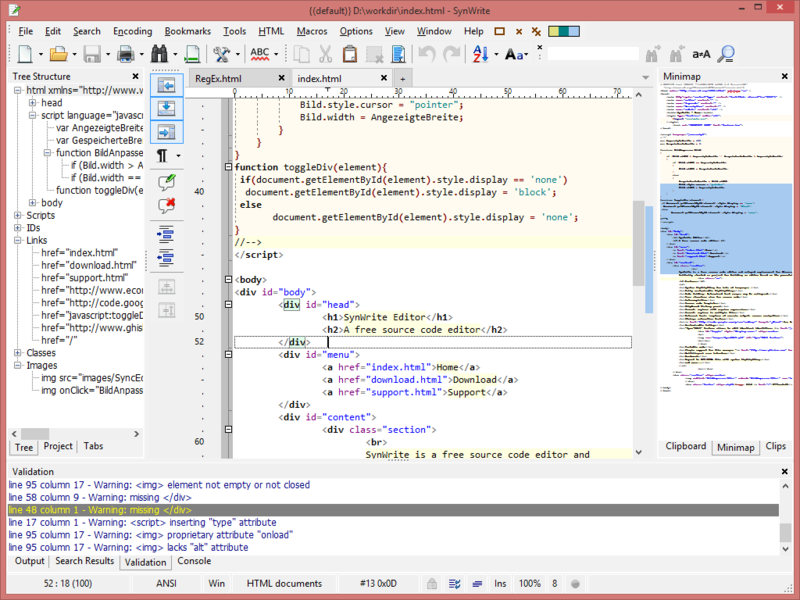 Files with synw-proj file extension are used by SynWrite, a source code editor. A synw-proj file contains project. What is synw-proj file? How to open synw-proj files? The synw-proj file extension is associated with the SynWrite, a text and source code editor for Microsoft Windows operating system, developed by UVViewSoft. The synw-proj file stores project created in the SynWrite. Use SynWrite to open *.synw-proj files. and possible program actions that can be done with the file: like open synw-proj file, edit synw-proj file, convert synw-proj file, view synw-proj file, play synw-proj file etc. (if exist software for corresponding action in File-Extensions.org's database). Click on the tab below to simply browse between the application actions, to quickly get a list of recommended software, which is able to perform the specified software action, such as opening, editing or converting synw-proj files. Programs supporting the exension synw-proj on the main platforms Windows, Mac, Linux or mobile. Click on the link to get more information about SynWrite for open synw-proj file action. Programs supporting the exension synw-proj on the main platforms Windows, Mac, Linux or mobile. Click on the link to get more information about SynWrite for edit synw-proj file action. Programs supporting the exension synw-proj on the main platforms Windows, Mac, Linux or mobile. Click on the link to get more information about SynWrite for create synw-proj file action.